The IEC standard defines suitable methods for efficiently cooling electric motors. 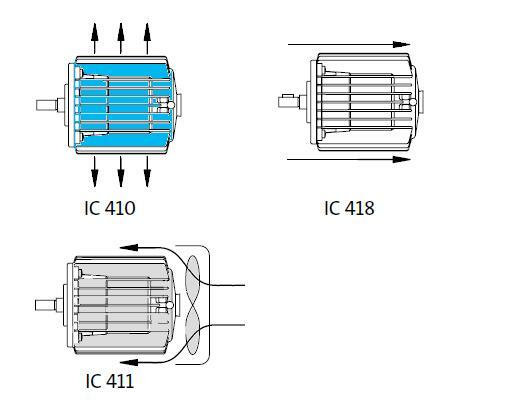 The three most frequently used motor cooling methods have the following IC designated codes according to the IEC 60034-6 standard: IC 410, IC 411, and IC 418 are applied. In this cooling method, the electric motor is essentially cooled by free convection current from the air. In this cooling method, the motor is cooled by a fan mounted on the motor shaft. This is the most common method for cooling electric motors you will find in the industry.